Della Reese was born on July 6, 1931, in Detroit, Michigan. She was an actress, an ordained minister, and a singer who performed in the jazz and gospel genres. She started her career as an entertainer in 1959 when she released the single ‘Don’t You Know?’. She then went on to host her own talk show ‘Della’ during the 1960s. She expanded her career into music and television and was successful in both these industries until she retired as a performer in 2014. Sadly, she passed away peacefully in her California home on November 19, 2017, at the age of 86. As a tribute to this talented woman, here are the top five Della Reese movies of her career. 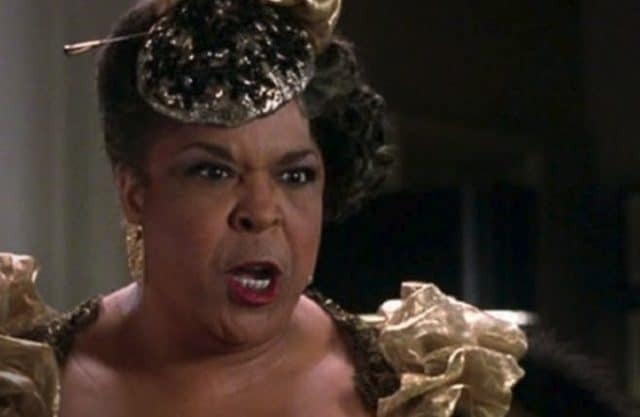 In the 1989 black comedy crime film ‘Harlem Nights’, Della Reese played the role of Vera who runs the brothel in the back of ‘Club Sugar Ray’. This film was written and directed by Eddie Murphy who also starred in the movie alongside Richard Pryor and Redd Foxx. ‘Harlem Nights’ was a critical and commercial success as it grossed $95 million from a budget of $30 million. Della Reese played Mama Wright in this dark comedy-romance. It was directed by Martin Wright who also co-wrote the movie with Bentley Kyle Evans, Kenny Buford, and Kim Bass. The movie starred Martin Lawrence, Lynn Whitfield, Regina King, Bobby Brown Daryl Mitchell, and Richard E. Mosley. This low-budget movie was made on just $8 million but grossed $34,746,109 at the worldwide box office. Starring Queen Latifah in the lead role, ‘Beauty Shop’ is 2005 comedy film. Della Reese plays the role of one of the difficult customers at the beauty shop, Mrs. Towner. The film also starred Alicia Silverstone, Andie MacDowell, Alfre Woodard, and Mena Suvari. It was directed by Bille Woodruff and written by Kate Lanier and Norman Vance Jr. It did reasonably well on its release as it grossed $37.2 million from a budget of $25 million. ‘Meant to Be’ is a 2008 drama film that was written and directed by Bradley Dorsey, who also starred in the film. The film also starred Erika Eleniak, Erin Sossamon, and Kristen Renton. Della Reese plays the role of Mave, a maid, in this movie. The movie is about a man who is at a difficult stage in his life and tries to find his birth mother. ‘Expecting Mary’ is a 2010 comedy-drama film about a 16-year-old girl who is pregnant and runs away from home in search of her estranged father. She stays with some kindly but dysfunctional women who live in a trailer park that is owned by Doris Dorkus, the character who is played by Della Reese. It was written and directed by Dan Gordon and starred Elliott Gould, Linda Gray, Lainie Kazan, Cybill Shepherd, Gene Simmons, and Cloris Leachman.